I’ve just written a blog in which I talked about being taught to paint. As the artist was a crucial part of that blog, I wanted to use his name in the blog but I couldn’t for the life of me remember what that was. So, I decided to use my 21st century skills (!!) and fired up Google. And then I was stuck! The search terms I used didn’t bring up the information I needed. “Family events at National Gallery” brought up events happening now, not the ones from years ago. Similarly, searching for “Artist in residence National Gallery” was of no help either. I thought to myself that this was silly; I should try and remember what I know of this artist and then, maybe, Google would be able to throw up his name. So, what knowledge did I have of this artist? The first search result wasn’t what I was looking for. 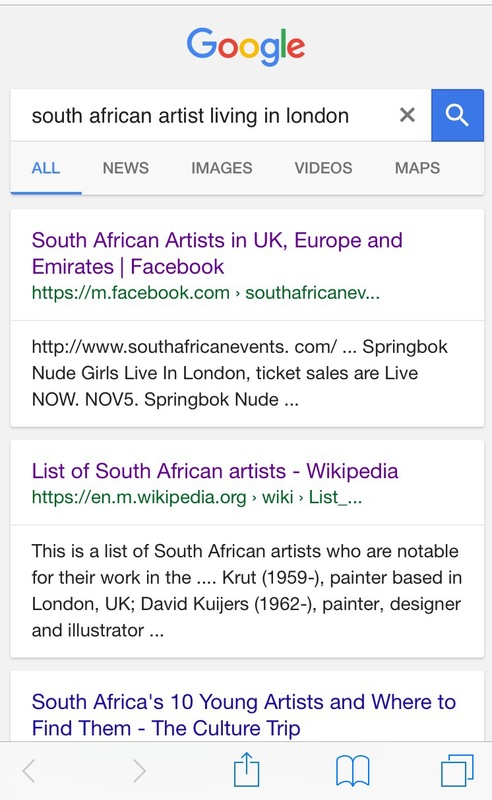 I then clicked the second,”List of South African artists-Wikipedia”. I started scrolling through the list and finally came to letter K and there it was-Ansel Krut. The name was familiar and it began with A! I decided to search for images. So, Google did help but only after I used knowledge I had stored in some corner of my brain! Hirsch is right; Google isn’t an equal opportunity fact finder! Today (3rd March 2017) I came across this tweet which I just had to add here.